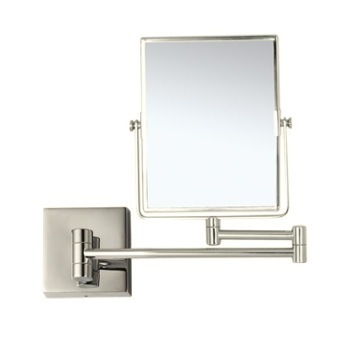 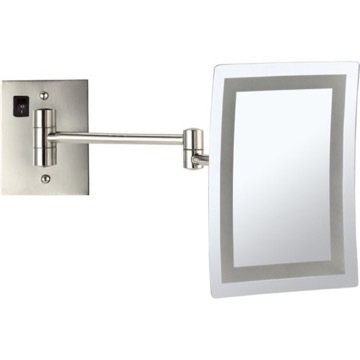 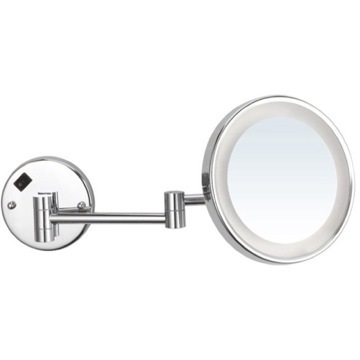 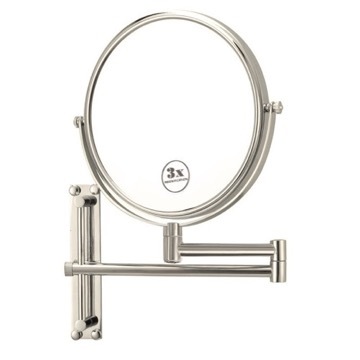 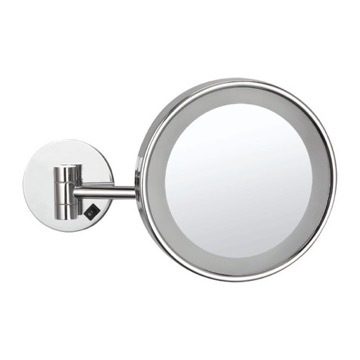 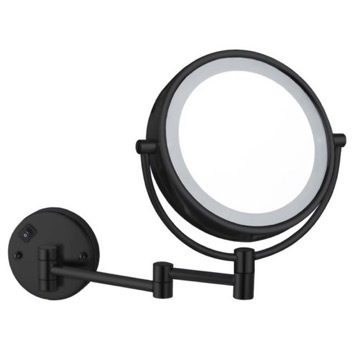 Available with 3x or 5x magnification, this wall mounted makeup mirror is made out of the highest quality brass and finished with a classy chrome style. 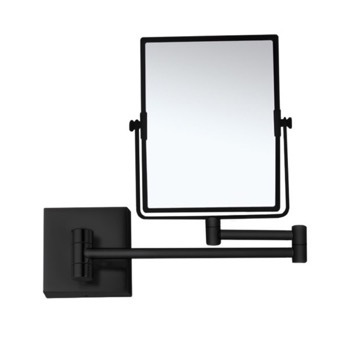 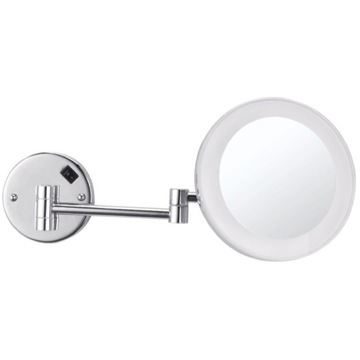 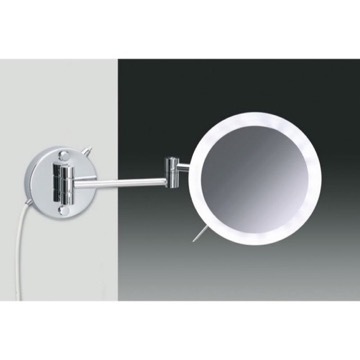 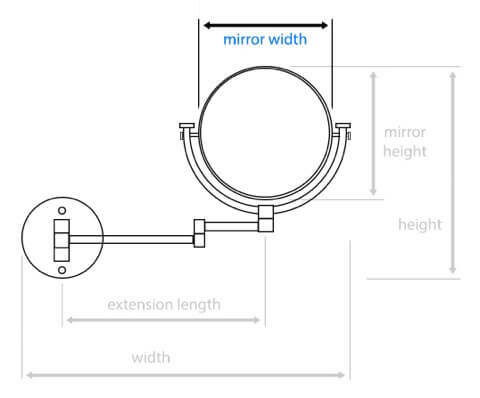 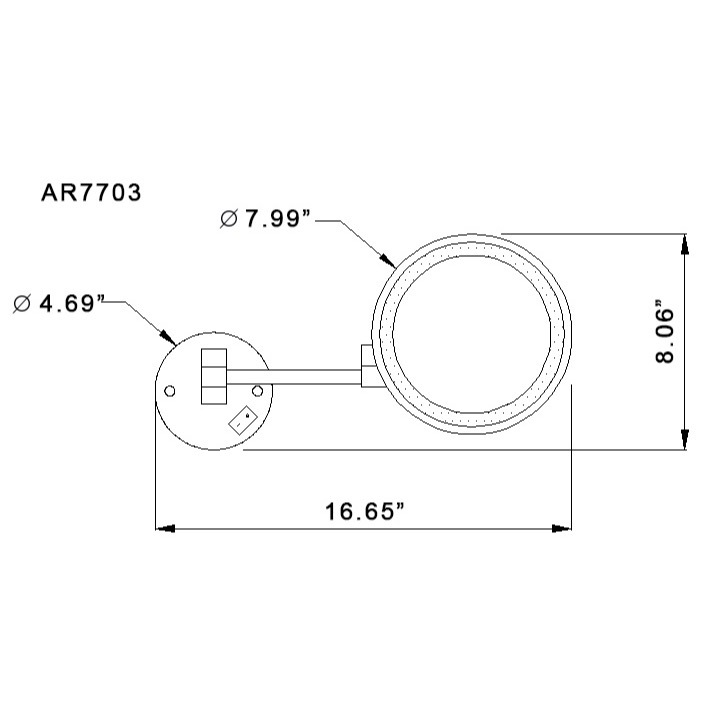 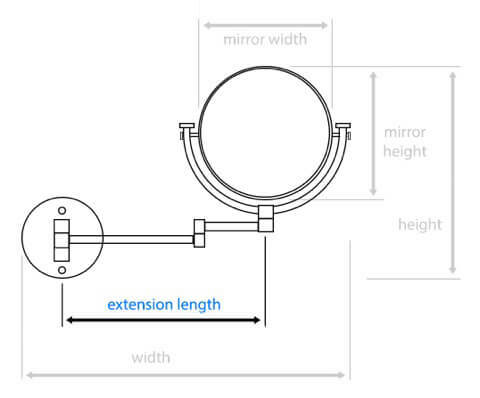 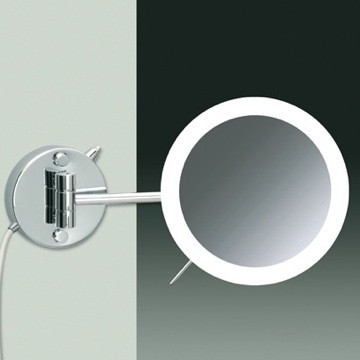 The extendable double arm and hardwire installation makes this a useful and easy to install addition to any bathroom. 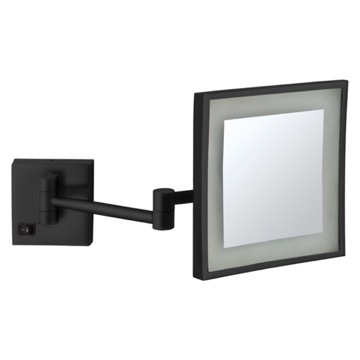 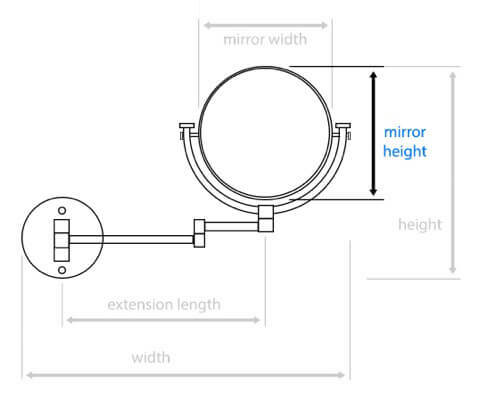 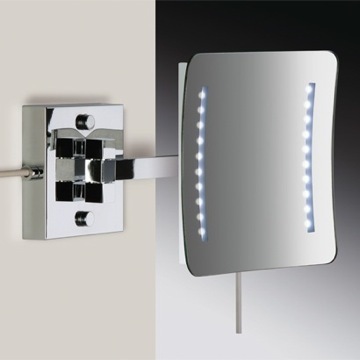 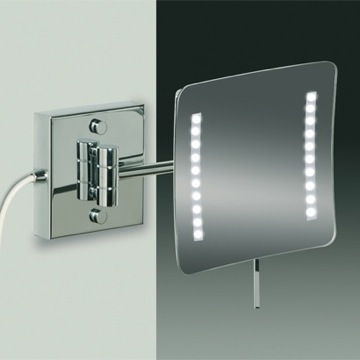 With an incorporated on/off switch, the single faced 8" mirror has built in LED lights, making it the perfect add in for your bathroom.